Editor’s Note: The highlights of the Bonhams' Mercedes-Benz auction was contributed by Ralf Glaser with Daimler. Highlights from the history of Mercedes-Benz Auction are set to come under the hammer at the second Bonhams auction to be held at the Mercedes-Benz Museum on 28 March 2015. 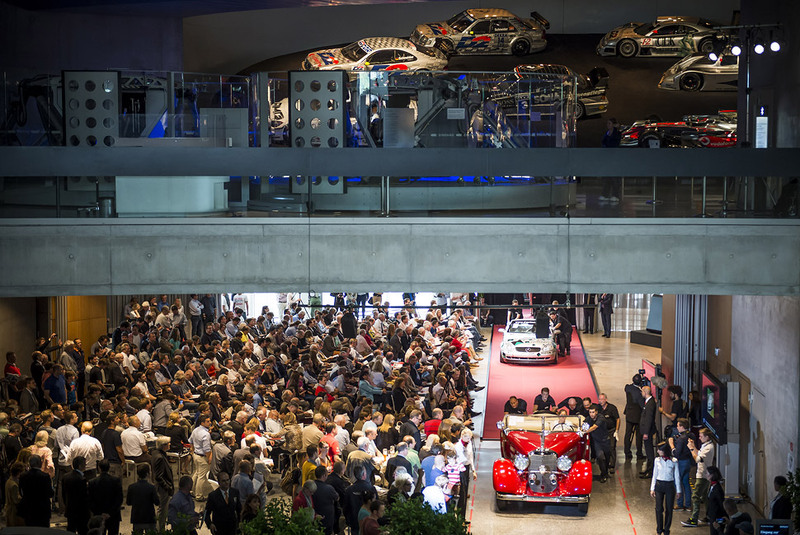 With this auction, the museum representing the world's oldest automobile manufacturer has added a very special date to the annual automotive event calendar – scheduled to tie in with the "Retro Classics" show which is to be staged in Stuttgart at the same time. The auction is being held under the banner "The World’s Oldest Marque" and is dedicated exclusively to Mercedes-Benz and its predecessor brands. The outstanding vehicles on offer include a Mercedes-Benz 540 K Cabriolet A, a Mercedes-Benz 370 S Mannheim Sport Cabriolet, the AMG Mercedes C-Class racing sports car driven by Juan Manuel Montoya and Jan Magnussen in the 1996 ITC season and a Benz Ideal dating from the year 1900. Bids will also be invited for Alfried Krupp's 300 SL Roadster. Advance viewing of the vehicles will be possible on Friday, 27 March 2015, from 9 a.m. to 6 p.m., and on Saturday, 28 March 2015, from 9 a.m. to 12 noon. Over 40 exclusive vehicles from the history of Mercedes-Benz and its predecessor brands will be up for bidding when the second auction by the renowned English auction house Bonhams is held at the Mercedes-Benz Museum at the end of March. 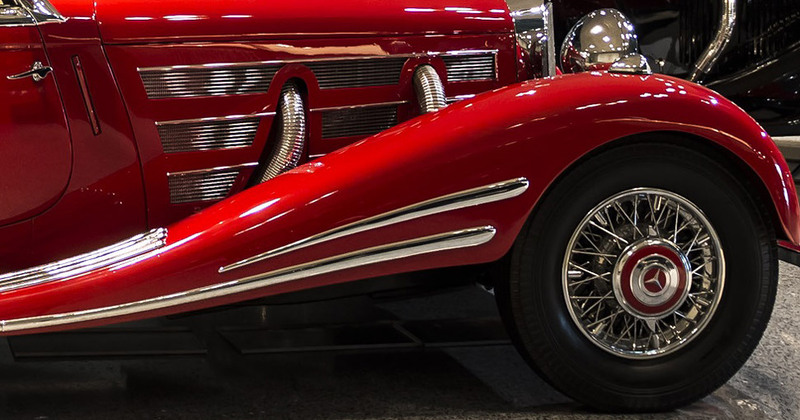 The list of automotive gems on offer spans a fascinating timeline from the early days of automotive history to the recent past. The diverse types of vehicle on offer range from luxurious cabriolets through powerful sports cars and prestigious saloons to legendary racing cars and particularly valuable classic commercial vehicles. "I'm delighted that the Bonhams auction house is to be our guest at the Mercedes-Benz Museum once again in 2015," says Michael Bock, head of Mercedes-Benz Classic and the Customer Center. "At Mercedes-Benz Classic we seek authenticity in the way we address the history of our brand. And the auction by Bonhams will also focus on this core value. This high-level event represents a further consolidation of the good partnership between Mercedes-Benz Classic and Bonhams which has been established for two decades now." Auctions of classic vehicles were held in the old museum in Untertürkheim from 1996 to 1999. Back then the auction house was operating under its previous name of Brooks. The auction will take place on Saturday, 28 March 2015, on the Museum's entrance level, beginning at 2 p.m. The number of visitors is restricted. Purchase of an auction catalogue priced at 30 euros entitles two people to attend the event. All the items up for auction will be available for viewing in advance on Friday, 27 March 2015 from 9 a.m. to 6 p.m. and on the morning of 28 March 2015 from 9 a.m. to 12 noon. The Mercedes-Benz Museum will also be presenting the exclusive vehicles together with Bonhams in the museum's atrium, on the grounds outside the main entrance and in a covered area next to the museum building. The Bonhams auction will demonstrate how individual stories bring the fascinating history of the Mercedes-Benz brand to life. The Benz Ideal from 1900, for example, boasts a thrilling biography extending from the sale of the vehicle by English Benz dealer Henry Hewetson to the 115 year-old classic vehicle's more recent outings in the "London to Brighton Veteran Car Run". Equally exalted is the history of the AMG Mercedes C-Class racing sports car which was driven by Juan Manuel Montoya and Jan Magnussen in the 1996 season of the International Touring Car Championship (ITC). The original vehicle is being submitted for auction by the HWA racing team. The 300 SL Roadster (W 198 II) dating from 1960 with chassis number 198.042-10-002539 was once driven by German industrial magnate Alfried Krupp. A nice counterpoint is provided in the auction by a historical pedal car produced by Ferbedo in 1950. This is one of the finest examples of how stylishly fashioned toys take up the design idiom of Mercedes-Benz passenger cars. Bonhams arose from an auction house for art and antiques which was originally established in London in 1793. Today, the international company has 60 departments covering everything from Asian art to wine and whisky. Classic automobiles play a particularly important role in the Bonhams Mercedes-Benz Auction portfolio.